← Bay Area Women who Rock! I thought of sharing this post, and the “living in the O” blog today when I went for my walk around the city, and realizing all over again how much I have grown to love this city. Several years ago when I lived somewhere — maybe Buffalo or Denver — I visited Kelleth, who had just moved to Oakland from San Francisco. I could not grasp why anyone would make such a move, and only much later appreciated his explanation — “the weather is better!” But there is oh so much more than better weather! Yes, we are only a 15 minute BART ride from the heart of downtown San Francisco and go over often for events, shopping, meeting up with friends, etc. But there is nothing like this gem of a city — problems and all. I pulled out my iPhone on today’s walk and took a few photos to share — along with some comments about why I stopped for each photo! 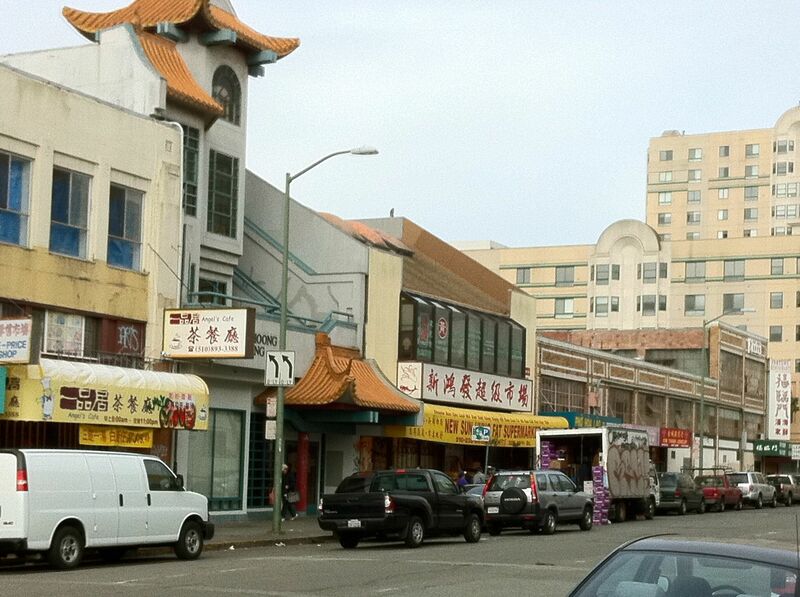 Oakland’s Chinatown .. huge, and equal to San Francisco in every way except that there are no tourists, and essentially no souvenir shops! Wonderful restaurants, grocery shops (with a huge range of kitchen and household goods) .. a very fun place to poke around! 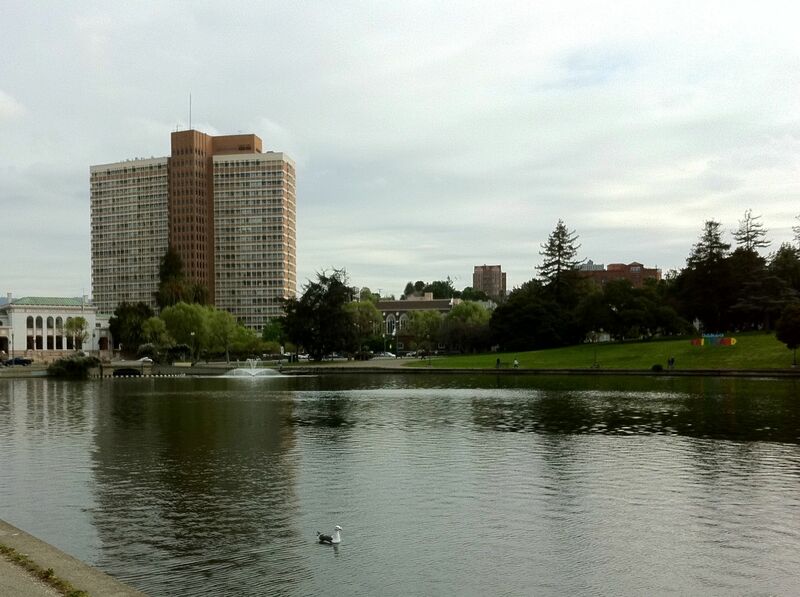 Bordering the hustle of Chinatown and the downtown district is Lake Merritt, an amazing city feature that is bounded all around by lights that sparkle at night. The lake has wonderful residential neighborhoods that are true “walking neighborhoods” – with shopping, restaurants, and recreation right down the street. 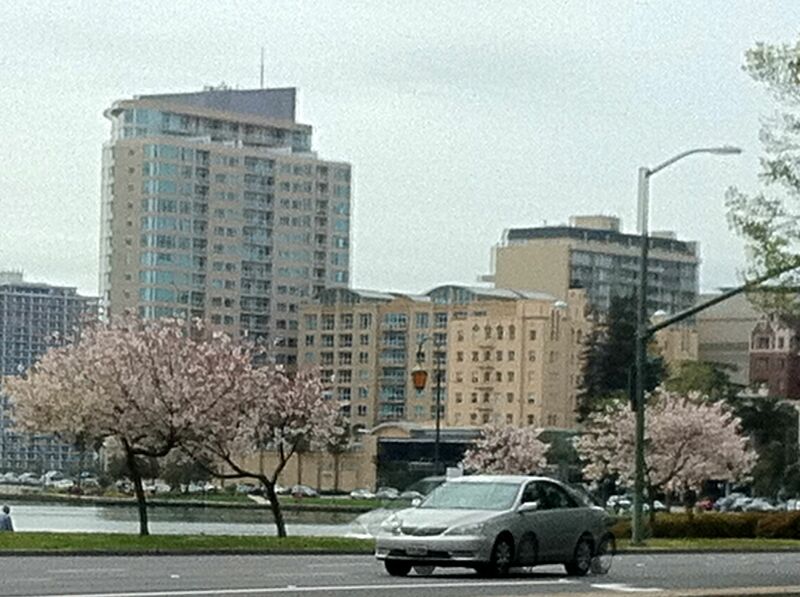 Along the lake are parks and amazing trees . . . some now in full spring bloom! 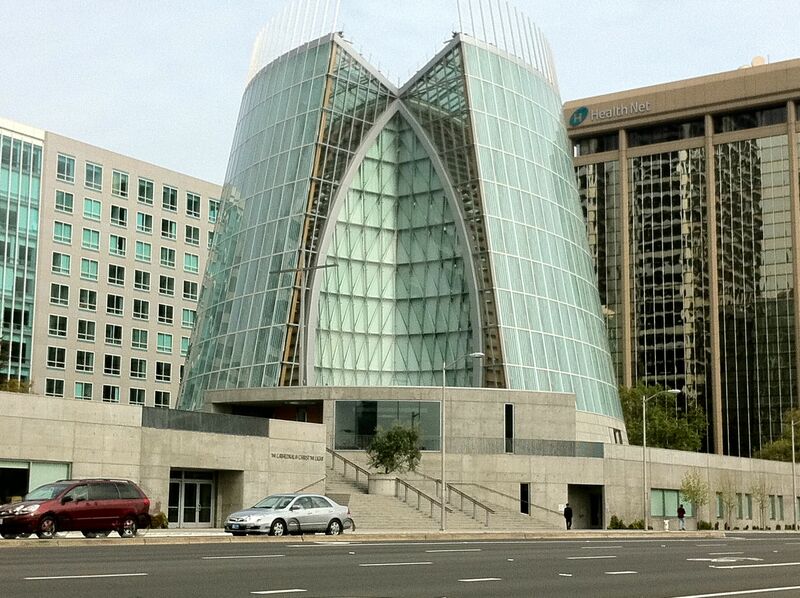 One of the architectural features along the lake is a very impressive “Christ the Light Cathedral” (Catholic), where recently we walked through a crowd of protestors bringing to the attention of passerbys the sins of the church in their treatment of LGBTQ folks! Yes yes, this is the Bay Area!! 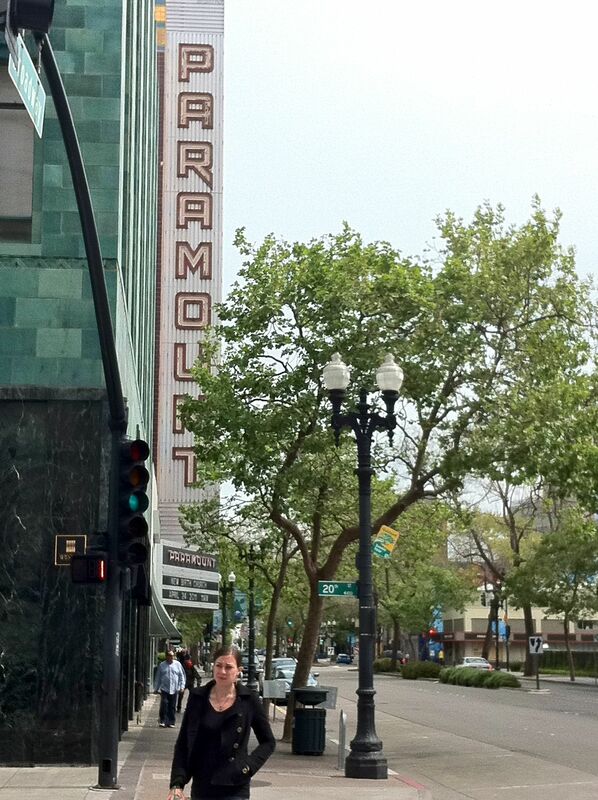 Then to Whole Foods in Oakland, and finally, within a block of our apartment, two amazing art deco theaters – The Paramount and the Fox. So one of these days, if you want a personal tour of these sights and more — just let me know! My walk ended with 8000 steps, and about an hour and a half, grocery shopping included! This entry was posted in Oakland, Politics and tagged Living in O, Oakland, Obama. Bookmark the permalink. Great photos! 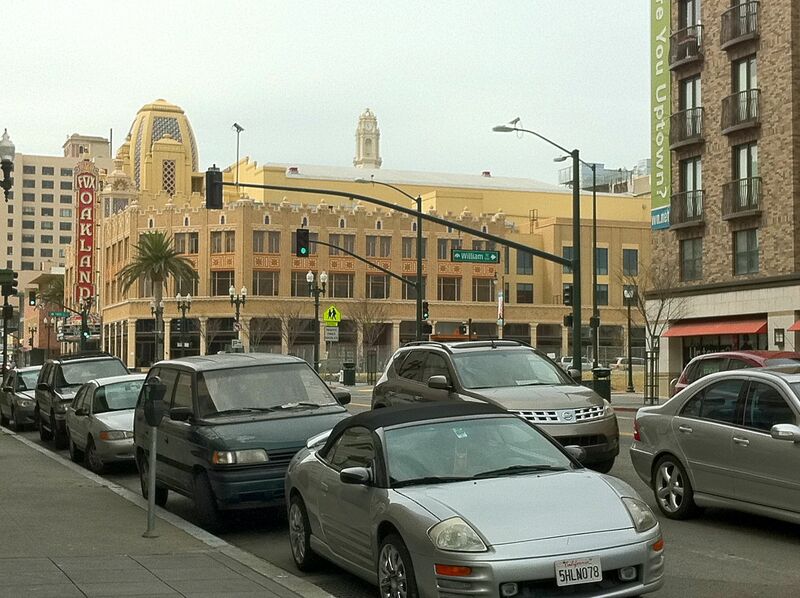 Indeed – we must be some of the luckiest people on the planet to live in the Bay Area!